Vibration White Finger (VWF) is a condition that is most commonly suffered by people working in industrial jobs where the prolonged use of vibrating tools and machinery is required. Sometimes referred to as Hand-Arm Vibration Syndrome (HAVS), the symptoms affecting the hand, wrist and arm often worsen over time, and can become permanent. Construction workers are particularly at risk of suffering from vibration white finger, as their job roles often require regular use of power tools such as jack hammers and pneumatic drills. Other power tools and machinery that put users at risk of suffering from VWF include chainsaws, powered lawnmowers, disc cutters, sanders and hedge trimmers. Employers are legally obliged to minimise and eliminate where possible any hazardous risks in the workplace to protect their staff. If inadequate measures have been taken by your employer, and this has resulted in you being diagnosed with vibration white finger, you may be eligible to make a claim for compensation. 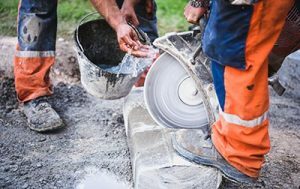 There are several thousand reports of symptoms linked to vibration white finger in the UK each year and this is a condition that prompts many workplace accident claims. The condition is caused by the regular or prolonged use of vibrating machinery or power tools. The vibrations produced when operating such tools causes injuries to the blood vessels and nerves in the fingers and as a result causes the condition known as vibration white finger. If your job requires you to work with vibrating power tools on a regular basis, it is important that steps are taken to try to prevent you from developing this and other similar injuries. Regular risk assessments should be carried out by your employer and you should be offered advice on how to minimise the potential of developing this condition. Health assessments and advice are often provided by industries whose staff are at risk of illnesses and injuries in the workplace. All employers have a duty of care to their staff to provide a safe working environment and to eliminate the potential for injury or illness from job roles. If you have been diagnosed with vibration white finger or any other work related injury and liability can be determined, you are likely to be eligible to make a claim for personal injury compensation. If your employer’s duty of care is not observed and in failing to meet their legal obligations to you, you have developed vibration white finger, you should be eligible to receive compensation for the pain, suffering and any financial losses caused by your injury. How long do I have to make a claim for vibration white finger? In most cases, symptoms of VWF don’t become apparent until a number of years after exposure to vibrating tools. So in most vibration white finger claims, the three year time limit would be based on the date of knowledge. This is the date that your condition has been diagnosed by your GP. 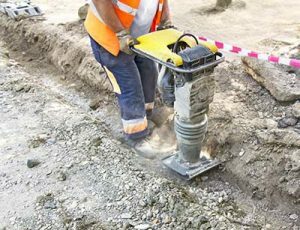 To ensure you don't miss out on compensation that you are legally entitled to, it is always best to get legal advice as early as possible after being diagnosed with a hand-arm vibration syndrome. All UK employees are legally entitled to make a claim against their employer for any injuries incurred as a result of workplace liability. It is therefore unlawful for your employer to penalise you or make your working life difficult because you have made a claim against them. If your employer discriminates against you following a case, whether by dismissing you or treating you unfavourably, you would under most circumstances be able to make a further claim against them at an employment tribunal. Many employers see a claim for compensation against them as an alert of further potential hazards within the workplace and as such, many claims result in safer working environments for all members of staff. We are pleased to offer our services to clients on a no win, no fee basis. This means that you can pursue a claim for the compensation that you rightly deserve for your vibration white finger injury, without putting you and your family at financial risk. You only pay your solicitor a fee if and when they successfully win your claim. If your case is lost, you won’t pay a penny. The amount of compensation that a person may receive depends on various factors. These include the severity of the condition and the effect the condition has on the victim’s life. For relatively minor cases of VWF, the Courts recommend compensation of between £2,420 and £6,985. If the symptoms suffered are more serious, the amount of compensation awarded could be around £25,575 to £31,075. 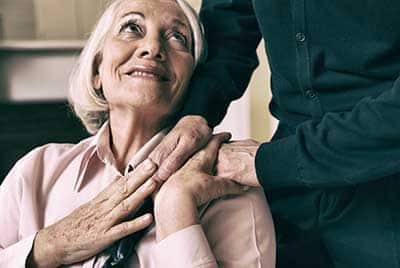 Further damages may also be granted for any financial losses suffered as a result of the illness. This is known as special damages and includes any loss of earnings, medical costs, prescription costs, travel expenses, etc. Your solicitor will be able to assess your individual circumstances and provide you with an estimated compensation figure during your consultation. This will give you an idea of how much compensation you could be entitled to, and will also help you to manage your expectations from the outset of your claim. We offer clients the opportunity to discuss their case with an experienced personal injury solicitor during a free, no-obligation consultation. As well as finding out if you are eligible to make a claim for vibration white finger, this is the ideal time to ask any questions about your case and the process of making an injury claim.